The Copyeditors’ Knowledge Base is a thoroughly useful resource centre curated by Katharine O’Moore-Klopf. Its truly international flavour makes it well worth a visit wherever you're from. 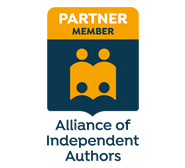 If you're an author, take a look at her Self-publishers’ Writing Library and access her latest self-publishing resources, all of which are free and available instantly.